Ask A Vet: Why are the vaccines we give in spring so important here in Colorado? 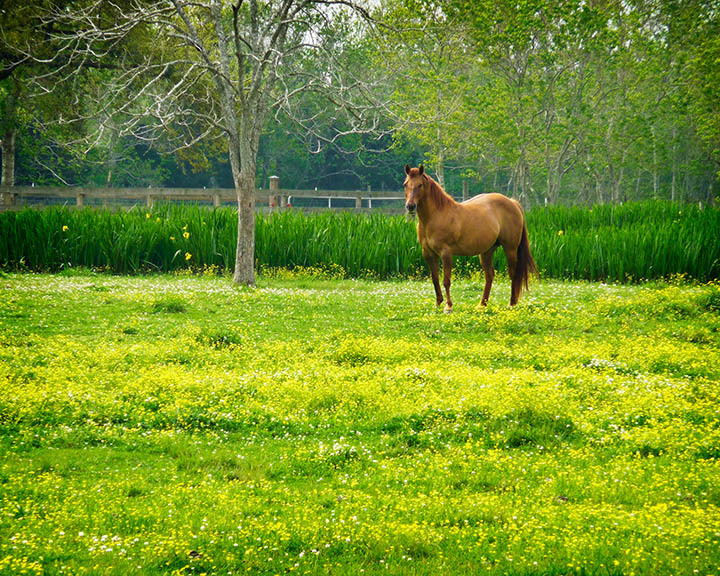 As the weather slowly warms, and the world is turning green again, spring vaccines should be pretty high on your “horsie to do” list. These vaccinations are critical to the continued health and well-being of our equine companions, whether you travel far and wide for shows, mostly trail ride, or just putter around your backyard with your horse. We get asked every year what the vaccines are for, what they protect against, and why they are necessary here in Colorado. We will answer that question today. First, a core vaccine as defined by the AVMA (American Veterinary Medical Association) and the AAEP (American Association of Equine Practitioners) is one that “protects from diseases that are endemic to a region, those with potential public health significance, required by law, virulent/ highly infectious, and/ or posing a risk of severe disease. Core vaccines have clearly demonstrated efficacy and safety, and thus exhibit a high enough level of patient benefit and low enough level of risk to justify their use in the majority of patients.” Simply stated, it’s safe, effective, and protects your horse and potentially humans. “Spring shots” are usually focused at a couple of targeted disease areas- insect borne and communicable. The insect borne diseases that we here at Mobile Veterinary Services, LLC recommend you vaccinate for in the spring are: Eastern Equine Encephalitis, Western Equine Encephalitis, and West Nile Virus. Even though we live in a dry, mountainous and high plains region here in Colorado, we do have a very distinct “mosquito” season, as any of you who spend any time outside on a spring or summer evening can probably attest to. These insect-borne diseases show up on a regular basis in the un-vaccinated equine population, particularly West Nile. 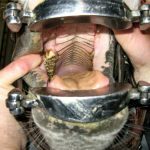 Remember that your horses spend most or all their time out of doors, so image how many bites they can get in a single day. Though it can vary from year to year, we usually start seeing mosquitoes in May, so from a timing standpoint, April is the ideal time to vaccinate in order to have full protection a couple of weeks later when the mosquitoes start to show up. All of the vaccines for these Encephalitis’ are labeled for a full year of protection, so there is no need to booster until the following spring. The second group of vaccines that are part of the spring vaccine combination address the communicable diseases. For us in Colorado that includes Rhino (EHV1 and EHV 4) and influenza. EHV-1 has been in the news a lot lately, with a number of outbreaks across the United States, including several here in Colorado. These are communicable diseases, which mean they are passed from horse to horse, either by aerosol or direct contact. So it’s critical that as you start getting out and hitting the show circuit, or the trail, you make sure your equine friends are fully vaccinated, and watch who they comingle with. There is one more vaccine that we recommend you give in the spring that is neither a communicable nor an insect borne, but is absolutely a core vaccine. That is Tetanus. Horses are extremely sensitive to tetanus, and thus should be boostered annually. In addition, if they have a wound 6 months or more after their last booster, they should be re-boostered. Tetanus is a very severe disease that is also very preventable with an appropriate vaccination schedule.